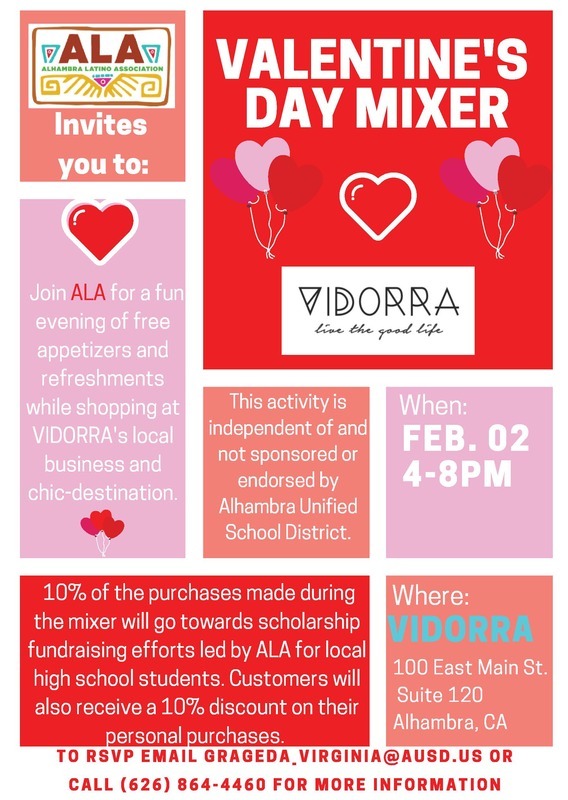 ALA and Vidorra to host a mixer that will raise funds for student scholarships. 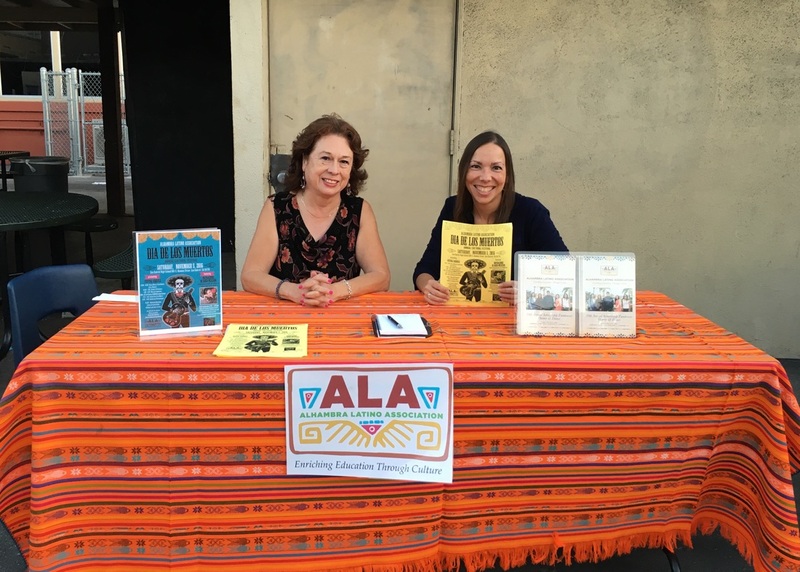 10% of all purchases go to ALA.
Teresa Ybarra and Merisa Camacho at the Ramona Elementary Back to School Night. 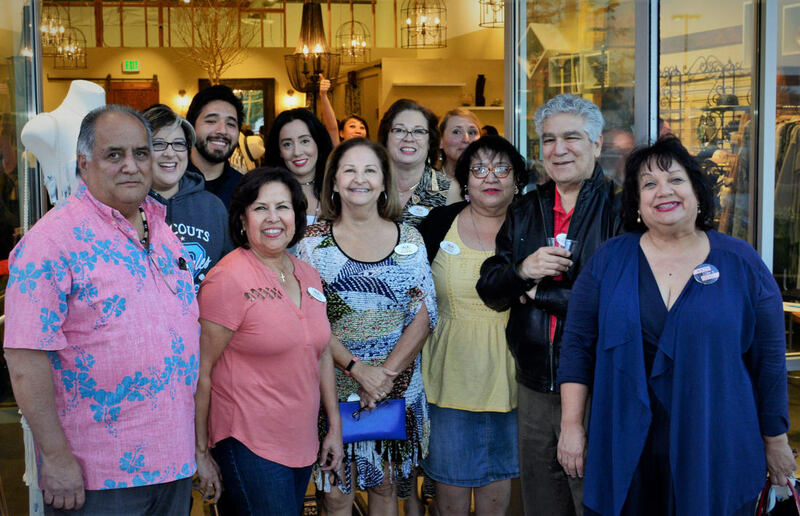 Almansor Court 6:00 - 11:00 p.m.
encourages students to pursue higher education to achieve their goals & have a positive impact on their lives and the lives of others. Open to boys 12 years of age and older. 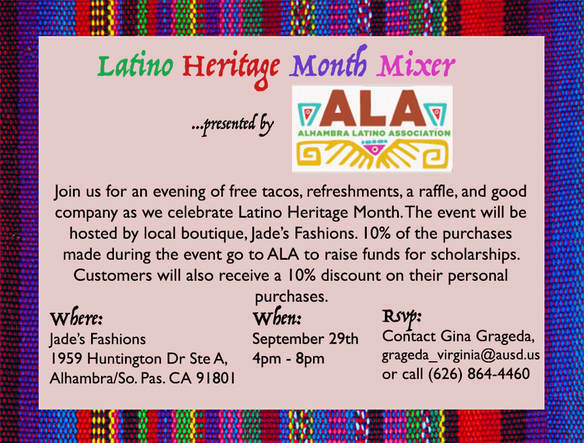 Parents, mentors, & family are welcome. 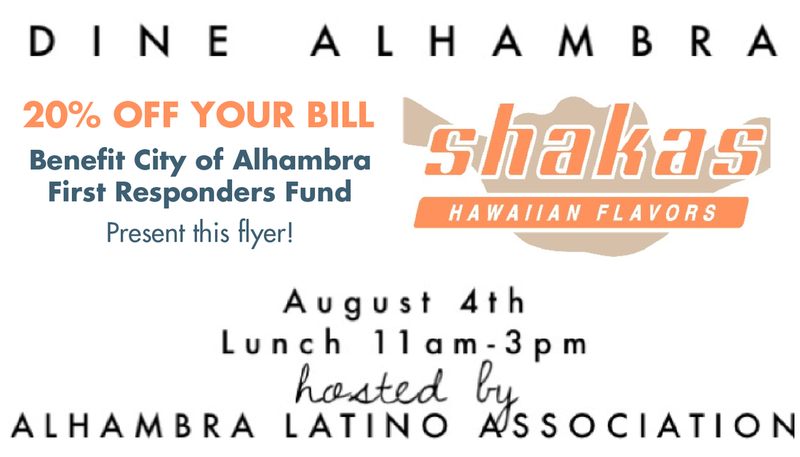 Be a vendor at the Alhambra Latino Association Dia De Los Muertos Event! 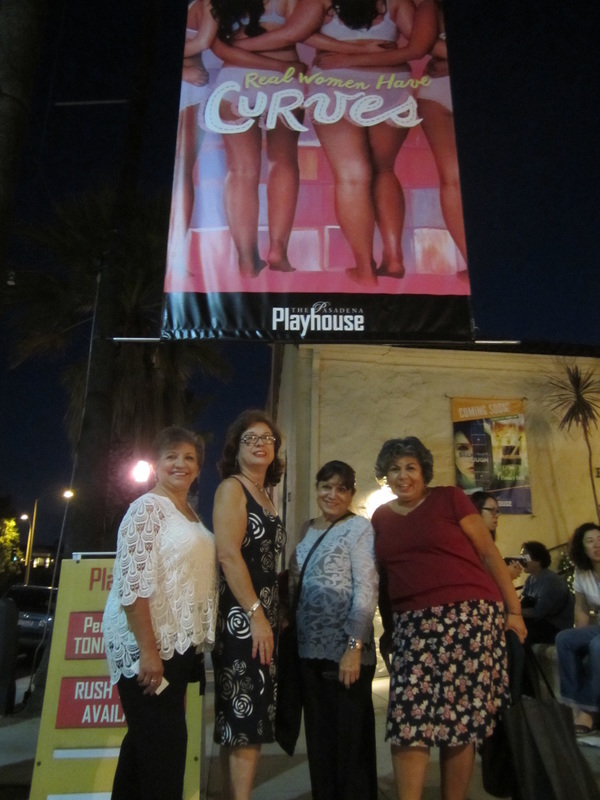 Alhambra Latino Association had the pleasure of attending “Real Women Have Curves” by Josefina Lopez, directed by Seema Sueko at the Pasadena Playhouse this past Friday and we have to say… it was AMAZING! The performances were outstanding and the messages were powerful! With so much recent talk about illegal immigration - this production truly cuts deep and takes a close look at the lives of those undocumented workers striving to live out the American Dream. Other themes referenced: body image, machismo, labor inequality. Such serious topics weaved into a hilarious, smart and sometimes heartbreakingly brilliant play and performed exquisitely by a brave and talented cast of women is simply a must see. 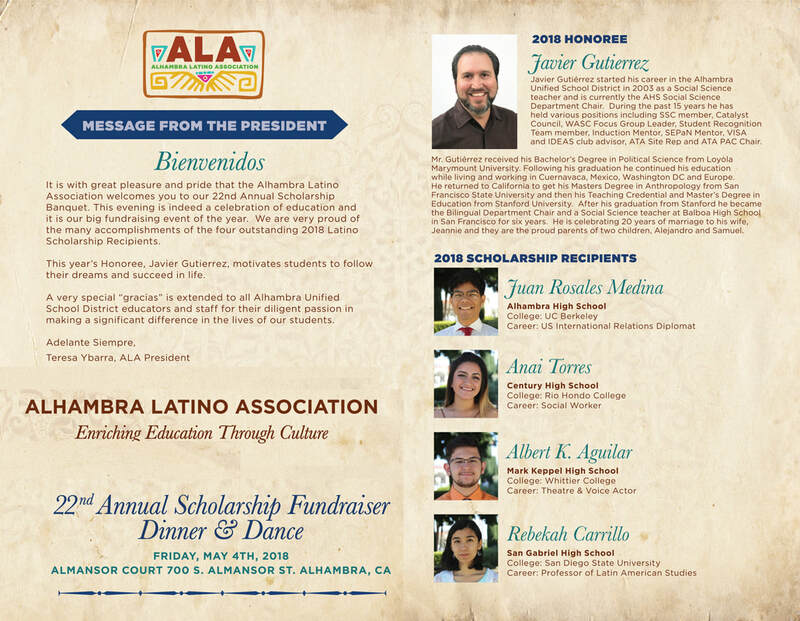 We urge every Latino and Latino supporters to attend.